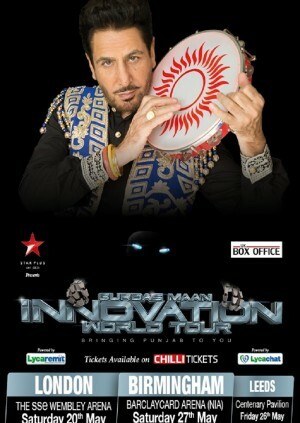 With sell out performances across the world, Gurdas Maan brings his Innovation World Tour here to The UK. Penned to be his most extravagant and astounding performances to date, with the introduction of elements never seen before, the tour is already scoring 5 stars with critics. This event will give fans the rare opportunity to experience one of the worlds most talented and inspirational performers deliver a show like no other. The show will be different to say the least as audiences will witness Gurdas Maan bringing Punjab to you.